have "owner" password set, preventing the file from editing, printing, selecting text and graphics etc. 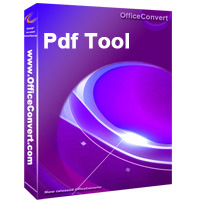 opened in any PDF viewer and with edit/copy/print functions enabled. custom mode or by password dictionary attack. Use default mode-Add the decrypted PDF files then decrypt automatically by the program. one in order to find the right password. passwords are checked. You can get Dictionaries (word lists) on the Internet. The standard security provided by PDF consists of two different methods and two different passwords. text notes (using 'owner' password). Powerful functions and easy to use. Wizard user-friendly interface helps you to find the best way to decrypt password. Does NOT need Adobe Acrobat software. The rate of decryption is very fast. Remove restrictions on printing, editing, copying. Automatically open the output file when finished. Copyright (c) 2008-2017 www.OfficeConvert.com All Rights Reserved.